inflicted at the hands of brother against brother. watch in wonder as your creatures risk their lives in pursuit of peace. was acceptable to the freedom of the many. but through the simple act of gathering to be heard. As I sit here this morning, we don’t know how things will work out. and that no warrior escapes by his great strength. those who fear you, for you are the great deliverer. 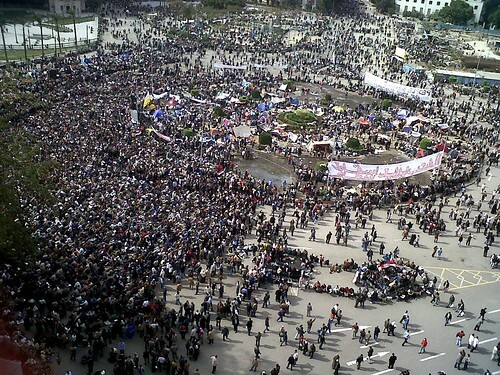 be with those folks in Tahrir Square. on behalf of all the people of Egypt. We wait in hope for the Lord; he is our help and shield.